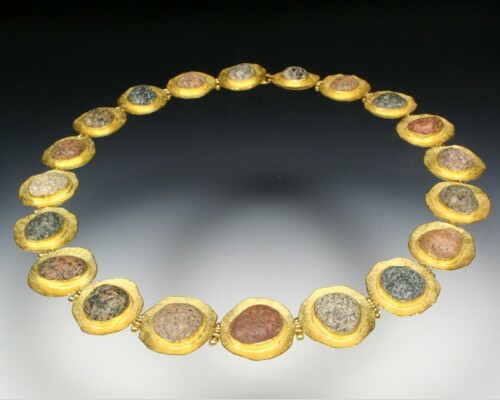 Our marvelous 22K disc necklace with textured finish and irregular edge. 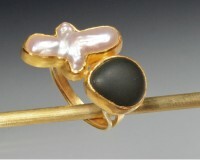 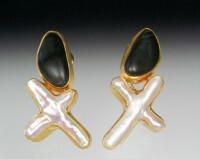 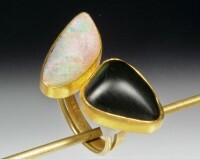 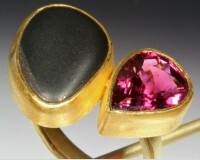 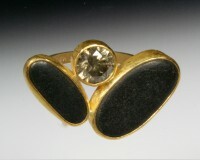 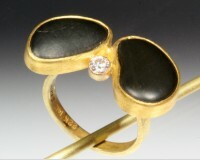 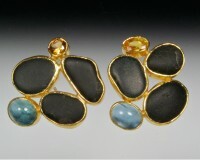 Bezel-set granites in a variety of colors enhance this piece. 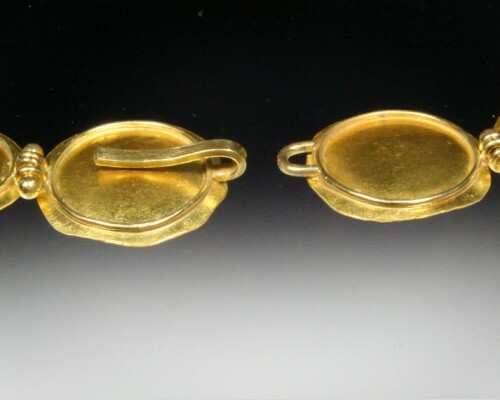 With 14K gold hinges and clasp.